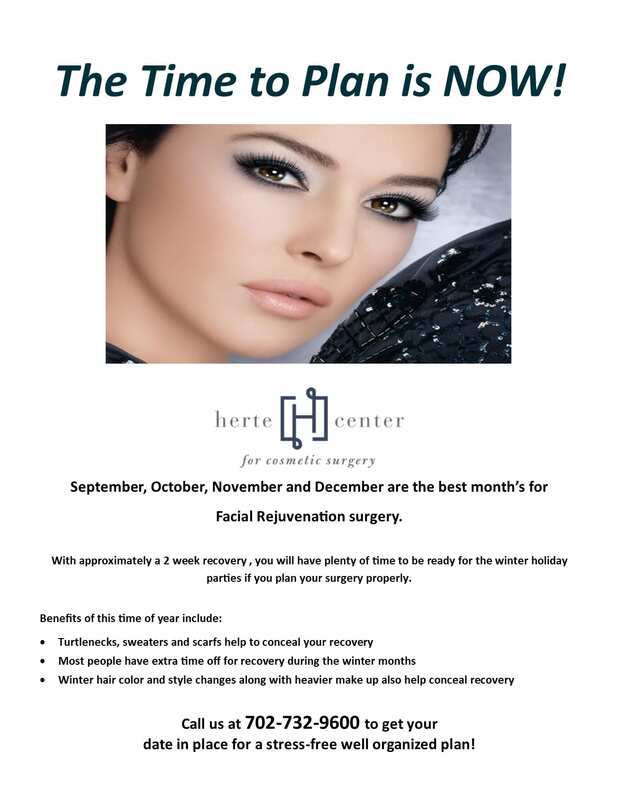 As summer begins to wind down, we are reminded that the following fall months provide the perfect timing for facial rejuvenation surgery. Not only do the fall and winter months provide excellent opportunities to conceal the two-week recovery, but once recovery is complete, you will be looking your best for winter holiday parties. See below for more information on why now is the best time to start planning for your facial rejuvenation surgery. Call today at (702) 732-9600 for more information and to schedule your appointment. Not all cosmetic plastic surgery consultations are the same! How are we unique? We focus on our patients!